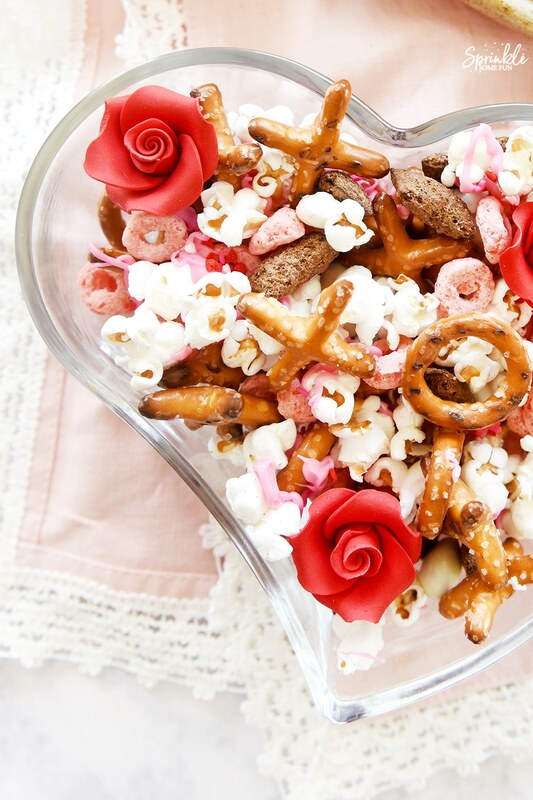 Valentine Snack Mix is the perfect mix of salty and sweet! 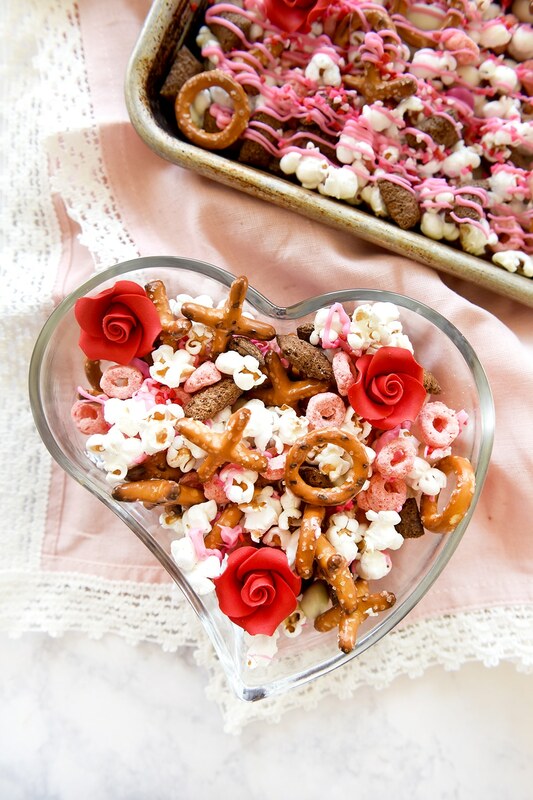 Add in some pre-made candy cake decorations, pretzels shaped like “XO” and don’t forget the heart shaped sprinkles too! 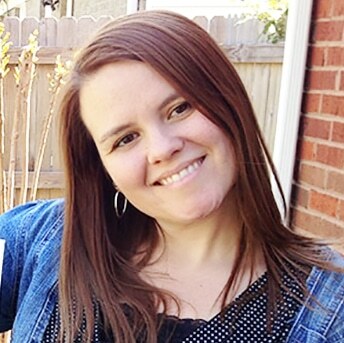 Scroll down the page where I have a FREE PRINTABLE Valentine treat bag label too! I was so excited that we found XOXO shaped pretzels at Walmart. They are only sold in store, but you can see what the box looks like here. 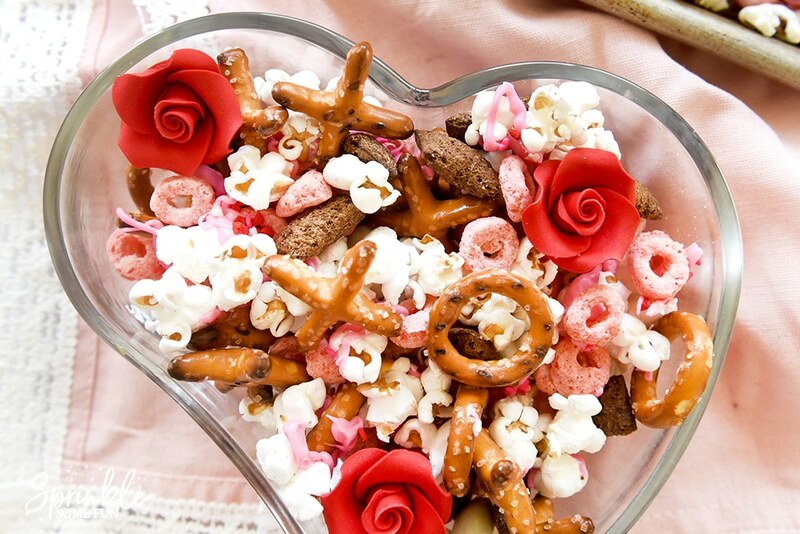 Valentine Snack Mix is very versatile and you can sub in the flavors that you want to try. 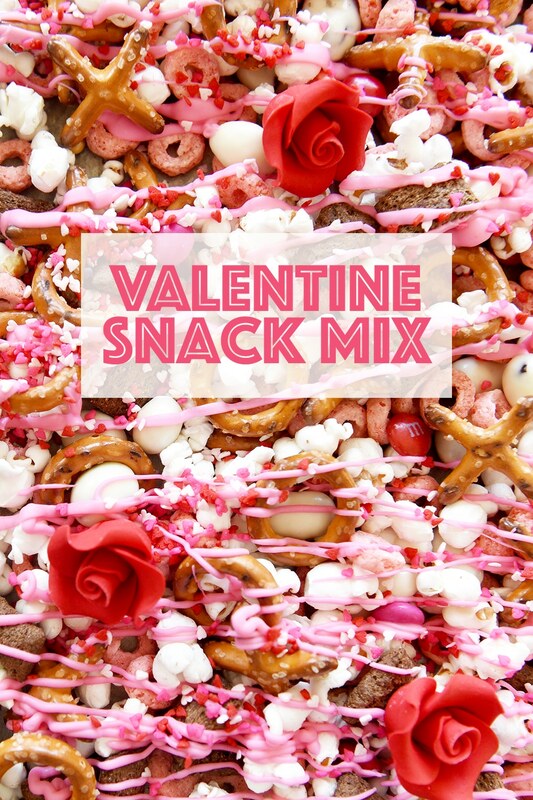 The ones I made are just a suggestion, but in my humble opinion this mix is amazing! 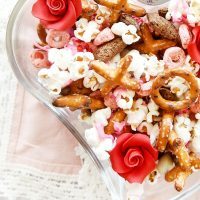 Mix everything together except the candy melts and sprinkles in a bowl. Spread the mixture evenly onto 2 large baking sheets or shallow containers. Take the melted candy and put it in your piping bag or ziplock bag and cut the end off one end to make a small hole where the candy melt can drizzle out. Drizzle the whole mixture and add sprinkles as you go so they will stick onto the candy. Let everything dry for a few minutes or until the candy is hardened. Transfer mixture into bags or a container to keep it in until serving. Will last covered for several days. Enjoy! The label for the snack mix bags for a sandwich sized plastic bag printed as-is. Just click on the picture below and then hit print for your printer. 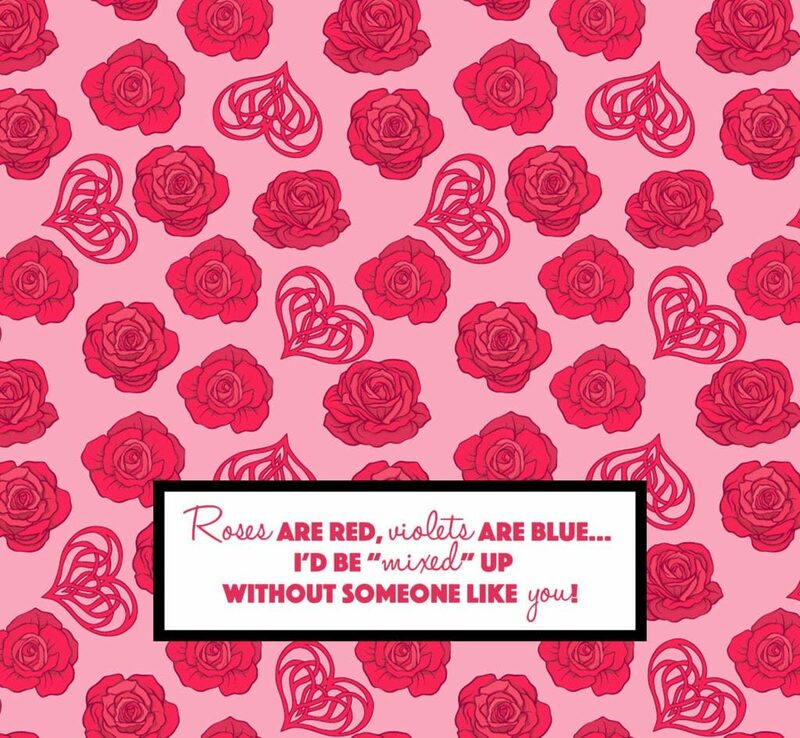 Roses are red, violets are blue… I’d be “mixed” up without someone like you! 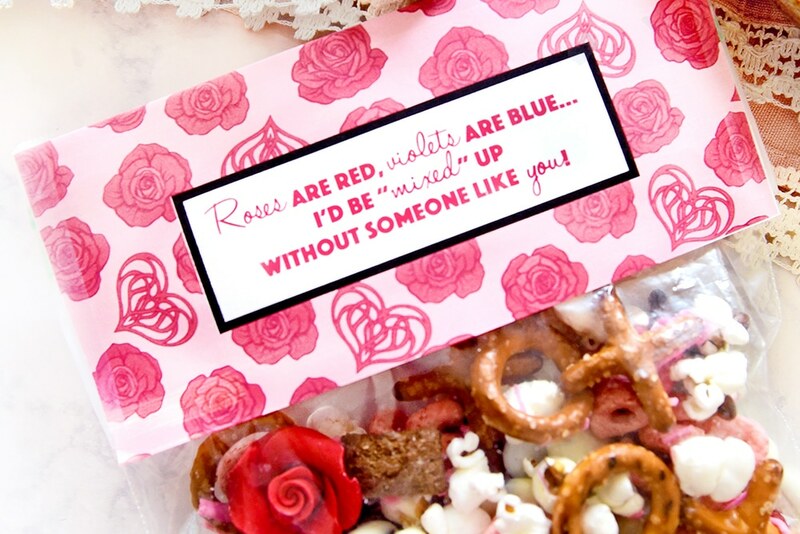 What is your favorite Valentine treat? This is a great idea for classrooms and fill them in a jar for a teacher too! Yum!! !